This is a really good article to read. 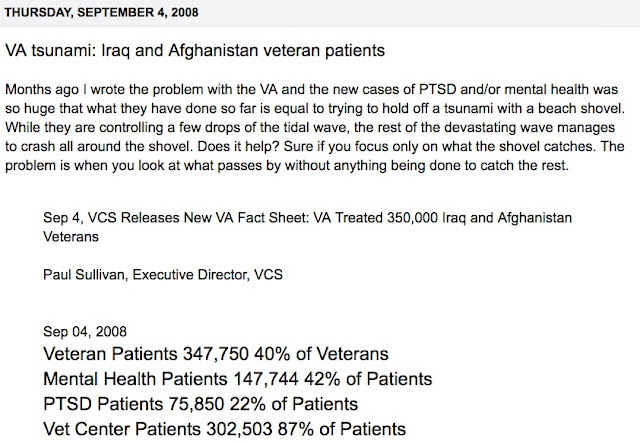 "An unfair stigma for vets with PTSD" By Sol Wachtler on Newsday. Fifty years ago, 550,000 U.S. troops fought in Vietnam. At war’s end, more than half of all veterans diagnosed with PTSD had been arrested — more than one multiple times mostly for drug-related crimes. Many suffered from undiagnosed and untreated combat-related PTSD and, tragically, many were issued less-than-honorable discharges from the service. For years, the military underdiagnosed and did not treat the problems and then cursed the sufferers with discharges for misconduct. There were no Veterans Courts for Vietnam Veterans. Reporters only covered them when they were arrested, so no one really gave a damn. 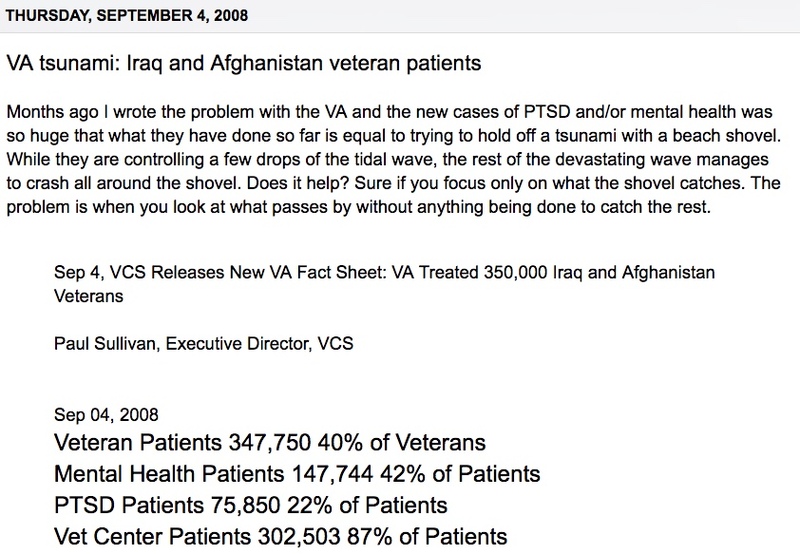 Really sad considering they ended up changing the way people surviving trauma were treated! Great reminder right there that this is not new. It happened to Vietnam veterans when no one care, yet they were the ones who did not give up on themselves or any other generation. They fought for all the funding, research and yes, even understanding. “There is a coming tsunami of . 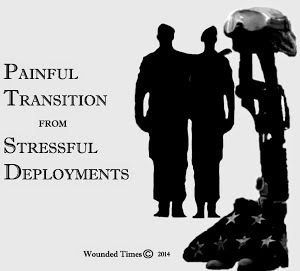 . . veterans who have been wrongly discharged for conduct that was, in fact, PTSD-related at a time when PTSD was not well understood,” Ken Rosenblum, a Vietnam vet and former Army officer who ran the Touro Law Center Vets Clinic, told Newsday. Nice to be quoted but would be nicer to actually have someone mention it. Still, as I wrote above a great article to read but putting up almost 28,000 posts on this site alone, plus the other decades of writing about it, most of the time, folks use quotes and don't even remember where they came from. Hmm, I wonder if someone used it before me? Then again, the research has been going on for over 40 years, so I wouldn't doubt it. Besides, there were a lot of people out there before I came along. I learned from them!